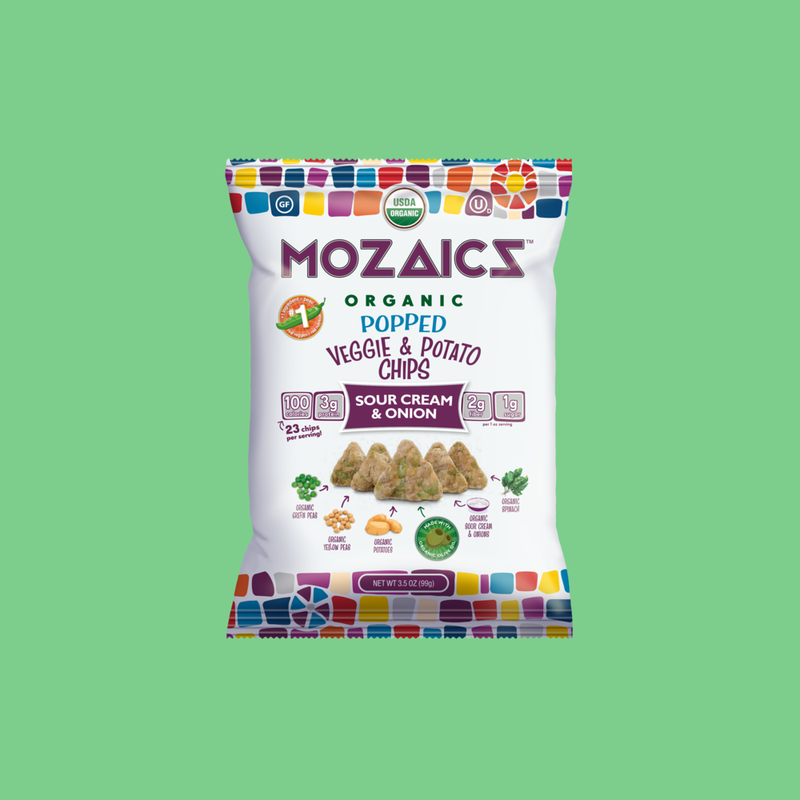 These Organic Sour Cream & Onion Popped Veggie & Potato Chips may be the best thing you put in your mouth all day. Deliciously delightful that satisfies. 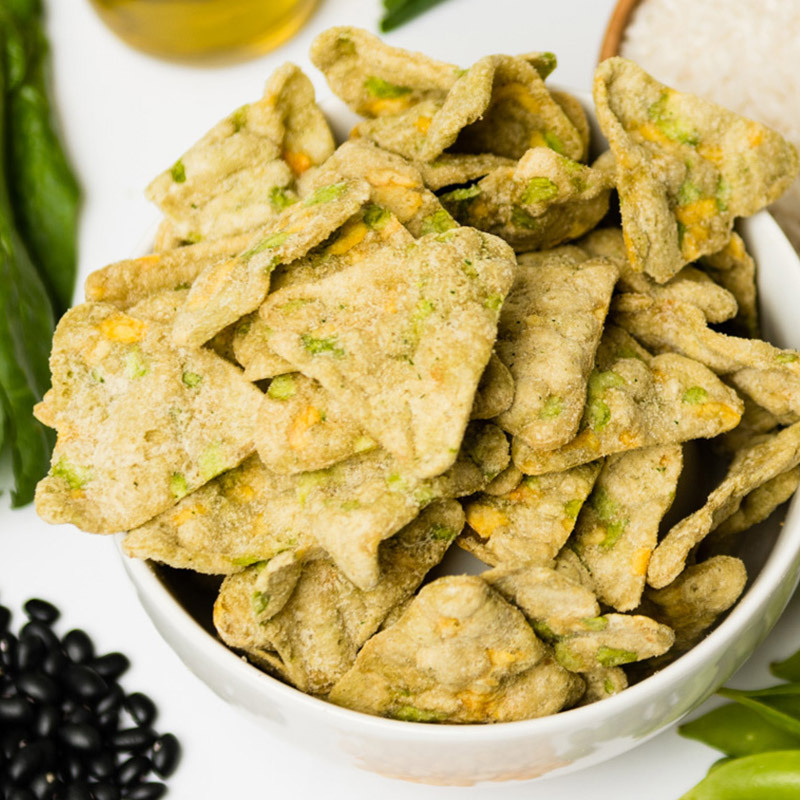 These chips are so unique yet familiar; they are the perfect comfort food you'll be happy to share. Certified USDA Organic, Certified Gluten-free, and Certified OU Kosher. Vegetarian, with 2g protein and 2g fiber per serving. Organic Peas (Organic Green Peas, Organic Yellow Peas), Organic Rice Flour, Organic Potato Flour, Organic Yellow Corn Flour, Organic Spinach Powder, Organic Seasoning [Organic Tapioca Maltodextrin, Organic Sour Cream (Cultured Organic Cream, Organic Nonfat Dry Milk, Natural Vitamin E), Organic Onion Powder, Salt, Organic Natural Flavors, Lactic Acid, Organic Garlic Powder, Organic Yeast Extract, Organic Dehydrated Parsley, Citric Acid], Organic Extra Virgin Olive Oil. Contains: Milk.